The Tucson Book Shelf presents local Tucson authors who have released several books on the shelves and online. These books can be purchased in Tucson bookstores and Amazon.com. See all available Tucson local books. The Entertainment Book company no longer has a Tucson, Arizona office. 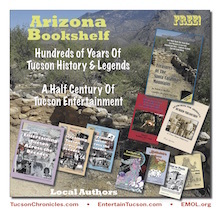 The new Tucson entertainment book edition is available through the official Entertainment web site. 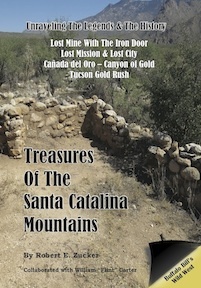 "Treasures of the Santa Catalina Mountains"
The new Official 2017-2018 Tucson Entertainment Book is now available to buy online with a special discount offer for a limited time with a promo code. Use coupons for restaurants, hotels, car rentals, site seeing and shopping discount coupons. Find out about the upcoming 2018 Entertainment Book.